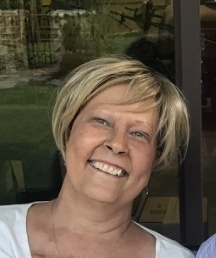 Elizabeth (Madden) March, 57, beloved wife of Robert March passed away on Wednesday, November 21, 2018 with her family by her side. She was born May 25, 1961, the daughter of Francis and Catherine (Baronousky) Madden. She resided in Coventry, CT where she and her husband ran their family business, American Fuel, established in 1988. She loved cooking, gardening, shopping (especially at Reny’s), the presence of her grandchildren, and spending time with her dog Shannon along with her grand dogs. She loved lighthouses, sunflowers, and cardinals. She enjoyed traveling frequently to her happy place in Waldoboro, Maine where she and her husband shared their second home. It was at her home, that everyone would always be found with their bellies, hearts, and her table full- of food, of friends and family, meaningful conversations and laughter. She was a loving mother, grandmother, sister and aunt. Elizabeth was a devout Catholic and a lifelong parishioner of St. James Parish. Besides her husband, she is survived by her children; Jennifer and Richard Downing, their children Cassity and Karly, Robert and Ashley March, their children Celia and Lucas, Patrick and Jennifer March, Peter and Diana March, and her fourth “son,” Andrew Brand. She is also survived by her brother; Daniel and Carolyn Madden, and seven sisters; Kathleen and Ronald Fiengo, Nancy and Edward Hayes, Joanie and Clarence Silvia, Patricia Madden, Maureen and Kevin Estey, Bridget and Lawrence Oates, Brenda and Patrick Bourne. She was predeceased by her parents; Francis and Catherine (Baronousky) Madden. Relatives and friends may join the family on Thursday, November 29,2018 from 2-4 or 6-8 at Coventry-Pietras Funeral Home, 2665 Boston Tpk, Coventry. A Mass of Christian Burial will take place on Friday, November 30, 2018 at 10:00 am at St James Church, 896 Main St, Manchester, CT 06040. (please meet at church). In lieu of flowers, Elizabeth requested that donations be made to Saint Jude Children’s Research Hospital. Friend of Bill W. For online condolences please visit www.pietrasfuneralhome.com. 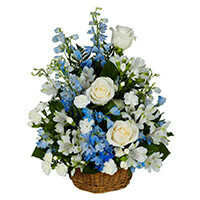 To send flowers to the family of Elizabeth March, please visit our Heartfelt Sympathies Store. On behalf of Liz's extended Maine "Crane" Family, we all wish Bob & the family our sincere condolences in the passing of a very dear friend, wife, mother, grandmother and sister. Our hearts are saddened and may you all find peace and understand at this very difficult time. Liz was a beautiful woman and brought smiles to all of us when in our presence. She will be greatly missed. We share your grief thru this difficult time. Blessings to all of you. Our thoughts and prayers to the entire March family as we are deeply saddened by the passing of Liz a dear friend.Liz's heart will keep on beating in the memories of all who knew her.All the special times in Maine,her cooking and the good times and laughs will always be with us.She will be deeply missed by all. We are sharing your sadness and wishing you comfort during this difficult time. To the March and Madden family. My condolences to you all in the passing of Liz. Thoughts and prayers to you all.